The writer co-produced the mini-documentary Class Dismissed in Swat Valley along with Adam B. Ellick for The New York Times in February 2009. The documentary put the then 11-year-old Malala Yousafzai on the world stage, challenging the Taliban brutality with her pen in Pakistan’s picturesque Swat valley, then under Taliban control. 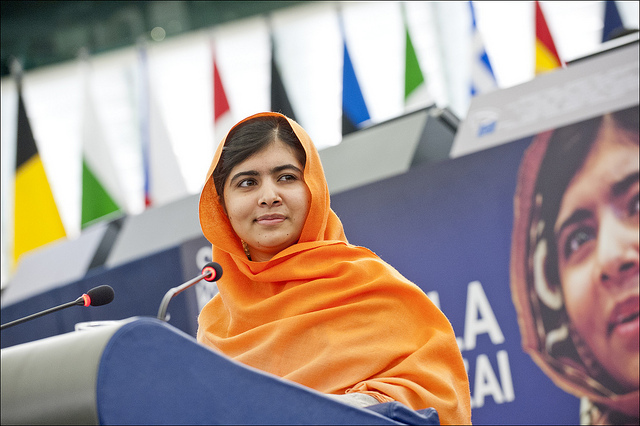 Setting aside the massive coverage of the 16 year-old activist Malala Yousafzai, including her cover photo on Time magazine, which declared her one of the world’s 100 most influential people, and her nomination for the Nobel Peace Prize, the journalist fraternity should not bury the underlying debate about source-security in conflict scenarios. Apart from the human implications of the tragic attack on Malala, the incident calls for reconsidering callous journalistic culture reared in the shadows of the 9/11 attacks. This ethical and moral dilemma would carry less significance had journalists been the only matter of concern here. Insensitive treatment extended by elite media outlets such as The New York Times and BBC had made Malala vulnerable to the Taliban’s attack. This brought horrible consequences for the teenage girl [and her family]. Back in 2009, as a journalist attached to a local TV channel in Pakistan and co-producer of the mini-documentary Class Dismissed in Swat Valley, I worked closely with Malala to shoot this New York Times documentary project at the peak of the Taliban’s rule. Similarly, my close relationship with reporter Abdul Hai Kakar, who facilitated Malala in writing a diary for the BBC in 2009, helps me here to deconstruct the insensitive coverage, which exposed her to the dread of the Taliban three years later. I admit that my activism pushed me in 2009 to visualize the plight of Swat’s education system under the threatening rule of Taliban militants and that Malala, as a vocal student, provided media a chance to highlight the issue. This project, however, was part of our mutual understanding that The New York Times would focus only on the plight of education and that the Taliban’s brutality would not be its main subject matter. Be that as it may, one month after The New York Times reporter’s two-day trip in Swat, my disappointment with the release of the documentary was predictable. In fact, the NYTs morbid fascination with the horrors of the Taliban presented Malala as a symbol of resistance in a time when she was still living with her family in Taliban-controlled Swat Valley. I became concerned about Malala’s safety the way I feared for my own. My NYT colleague Adam (B. Ellick) tried to cast off such concerns by referring me to the Times editor’s email in which he maintained that the gory scenes were actually part of the Taliban’s tactics and that the Times was reporting the real life of Swat residents. He said the media was not using a gory scene to create drama, but it’s the source – the Taliban – who puts this stuff on display. The US newspaper of record’s editor explained why they foregrounded the Taliban’s violence in the project by telling me that it was not shocking, it was almost expected. In this way the editor overlooked the horrible fact that the child protagonist was within reach of the merchants of death. One could ask if the Times would follow the same ethical standards if it was covering some violent group inside the U.S.? And has the elite outlet ever covered the barbaric violence in Iraq and Afghanistan where the US military did no less than what the Taliban has been doing to the denizens of the Swat Valley? In the post-9/11 world such questions have lost their ethical moorings in view of the increasing human rights violations and blatant disregard for journalistic values. But this does not mean that the journalist fraternity should stop questioning the corporate model of US journalism. This model has inherent disregard and disrespect for almost anything that does not fit the bill. War reporting is one bleeding casualty, where journalism is still paying for the silence of journalists. Defeat on the vital front of source wellbeing further erodes journalistic values, leaving militants, militaries and corporate media to misuse coverage as a professional means to achieve combatant ends. Coming back to Malala, the Times’ insensitivity subsumes into crime the way its editor avoided responsibility for putting a child’s life at risk, so much so that The New York Times editorial team sent their reporter to do another documentary six months after the release of “Class Dismissed.” The second documentary on Malala was entitled “A Schoolgirl’s Odyssey” (Adam, 2009). But this easy escape for one elite outlet has proved not so easy for another. Malala’s diaries, facilitated and carried by the BBC website under the pen name Gulmakai at the peak of the conflict in the Swat Valley in 2009, triggered a debate in Pakistan. Was it the BBC that disclosed Malala’s pen name, or her father Ziauddin who made this decision? In his radio interview, the BBC Global Urdu Service Chief Aamir Ahmed Khan was quick to put the burden on Malala’s father. But this issue too needs to be put in proper perspective. Much before her father could disclose anything, journalists in Peshawar and Swat [the writer included] knew that Malala was writing diary entries for the BBC using her pen name “Gulmakai.” Therefore, I assume from my association with journalism in the region that it was not difficult for the Taliban to know who was writing against them. Normally, journalists covering the so-called ‘war on terror’ from Peshawar and Swat cultivate good relations with the Taliban. Such journalists largely benefit from the Taliban’s terror videos and information, which they sell at exorbitant prices to the eager international wire services. This rising value of the political economy of corporate media has left little room for ethical concerns in conflict reporting in Pakistan. To understand the nature of the Taliban’s relations with journalists, I narrate an incident that happened to me in 2009 in Peshawar. I came to know that one of my colleagues had called the Tehrik-i-Taliban (TTP) spokesman Molvi Omar to lodge a complaint about militants providing information to journalists working for ‘infidel’ organizations. The journalist was referring to my visit to Bajaur Agency along with the BBC correspondent Riffat-Ullah Orakzai, where we interviewed a Taliban spokesman following a drone attack that killed some al-Qaida operatives in the bordering tribal district. Pakistan’s military liberated Swat from Taliban after a massive operation in 2009. 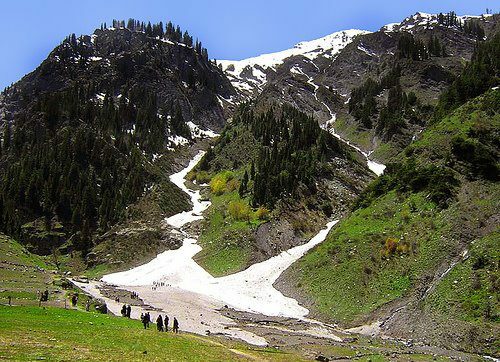 Swat is described as Switzerland of Pakistan. Under the threatening circumstances, how can the BBC deny that the corporation has violated its ethical code on the issue of Malala? If writing a diary was a commitment between Malala and the BBC correspondent Abdul Hai Kakar, who leaked Malala’s identity to other journalists in Peshawar? Those who know Malala and Kakar cannot doubt their integrity. It is not difficult to understand that Malala was already a media personality before she started writing for the BBC or she worked with the Times to create the documentary. Malala was our handy source, ready to speak on camera at the peak of Taliban rule. But I found Malala and her father always conscious of their limitations. They were genuinely worried about the Taliban exploding girls’ schools in Swat. More than that, however, they were worried about their own safety and their family-owned-school, which was their only source of income. Despite knowing well that Malala’s secrecy was slippery and the revengeful Taliban would settle scores with the child protagonist once they got the chance, the BBC encouraged the 11-year old child by providing her a platform to write what she could not say publicly against the Taliban. Therefore, the BBC chief cannot absolve himself of the responsibility for what happened to Malala. Aamir Ahmed Khan may not have known about Malala’s identity at the time of her writing popular diaries for the BBC [though it seems unlikely to me]. But the very fact of not knowing is problematic. Peshawar University journalism professor and media critic Faizullah Jan wonders: “if the pre-teen Malala was mature enough to understand the consequences of what she said against the Taliban” (Personal communication, 23rd June 2013). Answering this question is central to source-security in conflict zones, keeping in view that the initiative came from the BBC to use Malala against the Taliban. Such observations and concerns triggered a debate following the attack on Malala, in which journalists raised an ethical question: would media professionals in the West put their own children in the path of harm the way they have allowed themselves to do with children in poor countries? Malala’s security was not an issue as long as the poor child served the editorial interests of both these elite media outlets. The BBC correspondent and myself [who used to work closely during those miserable days] saw in Malala a promising agent to help inspire international audiences. The tragic consequences, however, are enough to teach any activist journalist the lesson that things at the top are not as simply convenient as they look at the bottom. The sensitive nature of the journalism of attachment will continue bringing insecurities for sources at the local level if the insensitive elite media coverage remains exploitative at the global level. Therefore, sending trained journalists to cover conflict zones has become as important as questioning elite media insensitivity towards the children of lesser gods. The author is pursuing a PhD in Mass Communication at the Southern Illinois University in Carbondale.